As a luxury custom home builder and general contractor we understand the importance of having a well planned landscape design for your home. An appealing landscape not only compliments your home’s architecture and makes a great first impression but it can also provide many other benefits as well. Lower Utility Bills. Protect your home from winter wind and summer sun. 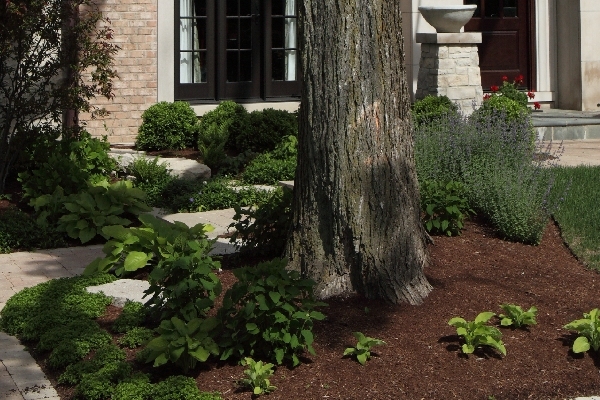 With carefully positioned trees and shrubs you can dramatically cut energy consumption. In the winter months a good landscape design can maximize solar heating while deflecting winds away from your home, in the summer season by maximizing shading while funneling breezes toward your home. Proper Drainage. Properly planned and properly installed landscape can address proper drainage, conserve water and even lower the rate and volume of water runoff. Security. 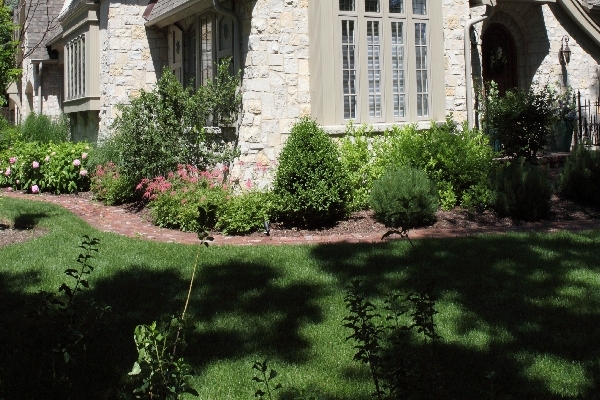 Landscaping techniques can also provide home security by deterring burglar break-ins. Consider using outdoor lighting such as pathway lights and landscape lighting to reduce hiding areas and brighten darker areas of your property. Keep plantings around your home trimmed and pruned so as not to obscure entrance ways. Use thorny shrubs, like roses and hollies, and plantings with abrasive foliage under first floor windows. Wise Investment. Real estate experts agree that landscaping substantially adds to property value and even increases the speed of home sales. By combining the right plant materials and designing them in harmony for your space you create a beautiful and natural looking landscape. 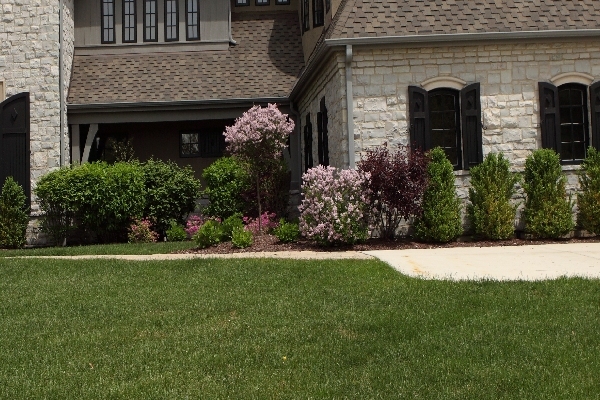 Battaglia Homes employs experienced and expert landscape architects. For more information about landscape designs contact the home building and renovation experts at Battaglia Homes at 630-669-4280 or email us at info@battagliahomes.com. We’d love to hear from you – tell us what you think about the benefits of landscape designs, leave your comments below.